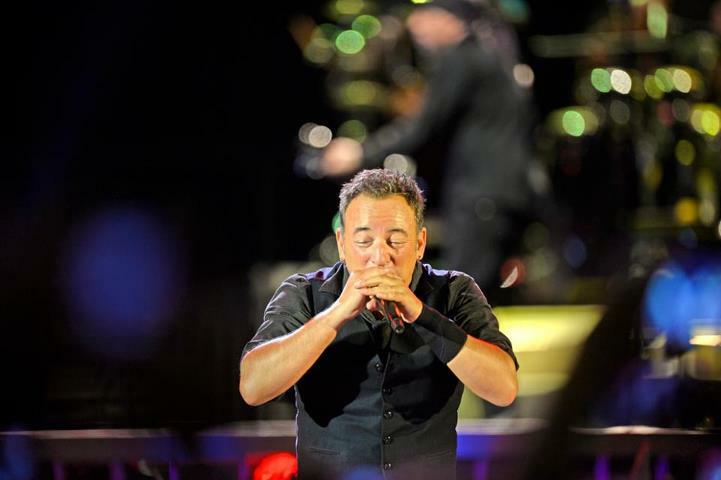 Second night in Oslo for Bruce Springsteen and E-Street Band. Now the Wrecking Ball Tour will move to Stockholm for two nights (May 3rd and May 4th). Do not forget to join my free newsletter! 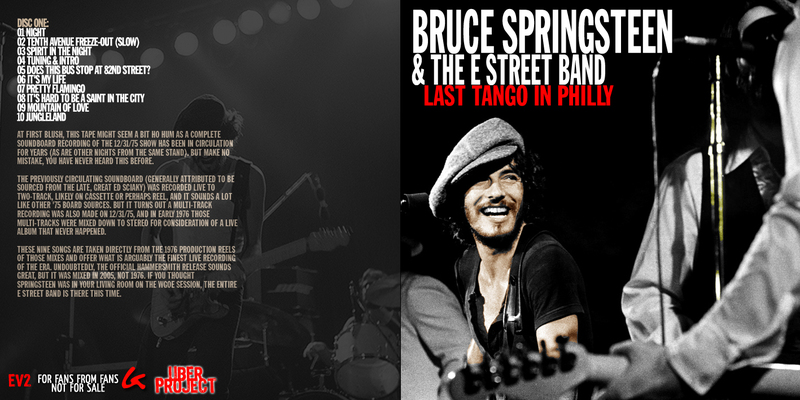 First night of the second European leg of Wrecking Ball tour; this is the setlist of the first night in Oslo for Bruce Springsteen and the E-Street Band. 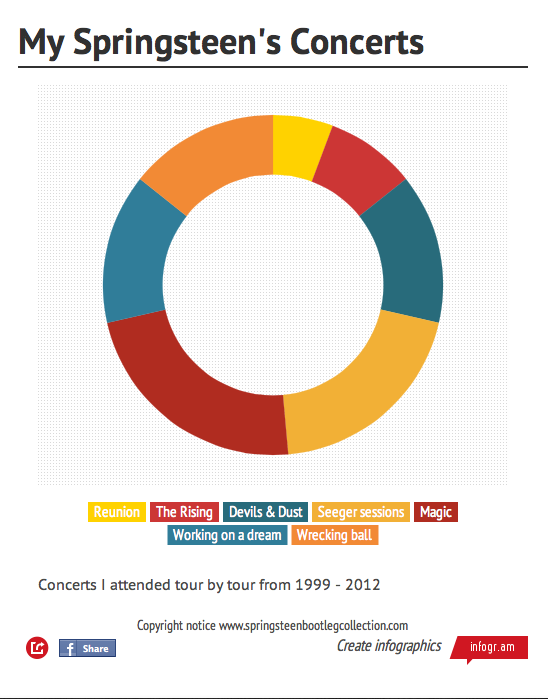 Scaletta abbastanza standard, concerto di circa tre ore.
From 1999 to 2012 I attended to 35 Springsteen’s shows as per below info graphic. 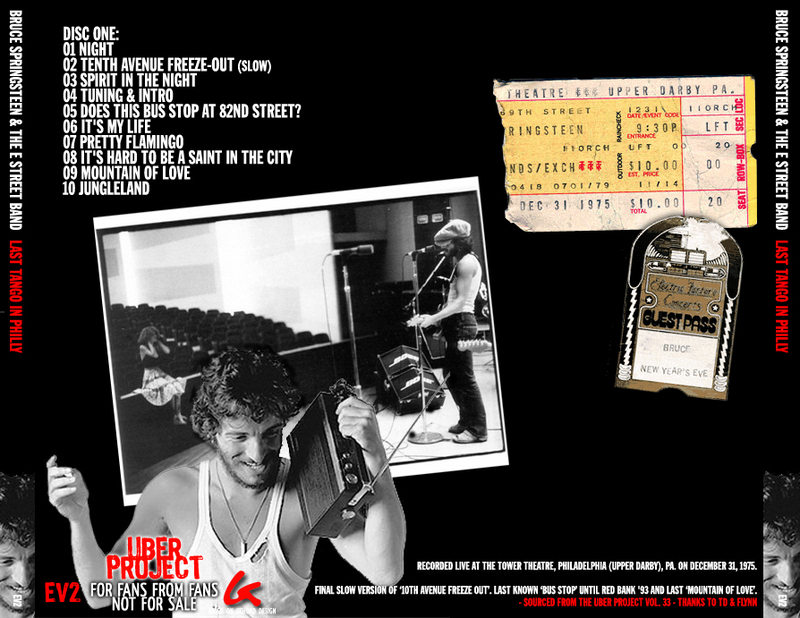 Are you reading for the tour? Is almost time to queue in Europe! 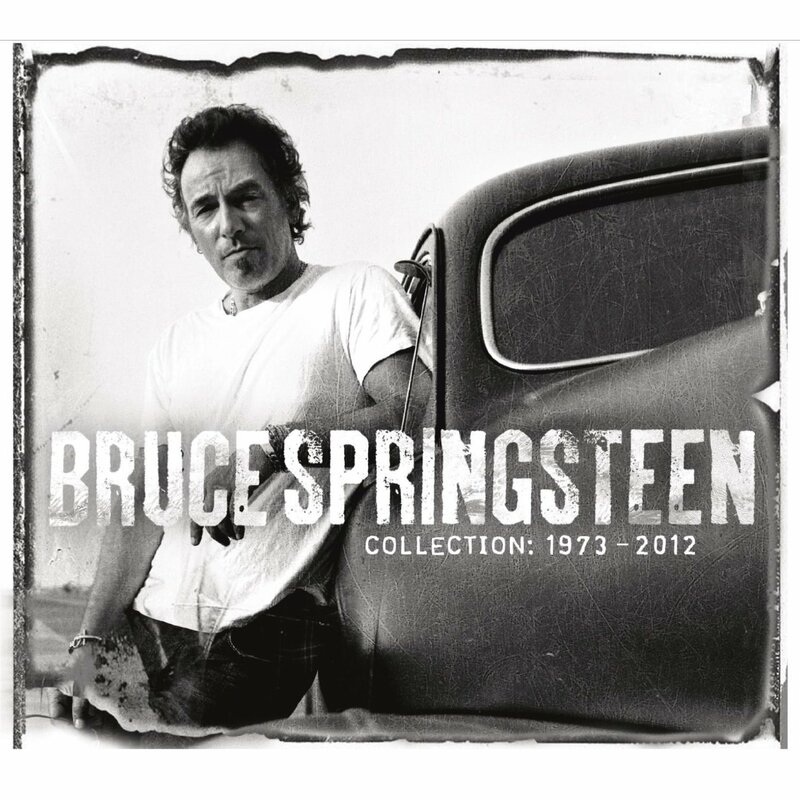 Yesterday Springsteen’s album “Collection 1973 – 2012” has been published. 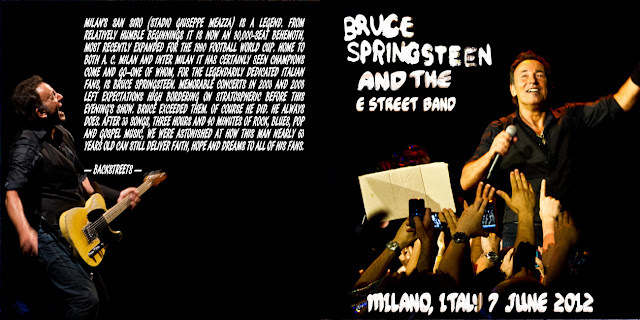 Tappa milanese per il tour di Wrecking Ball. 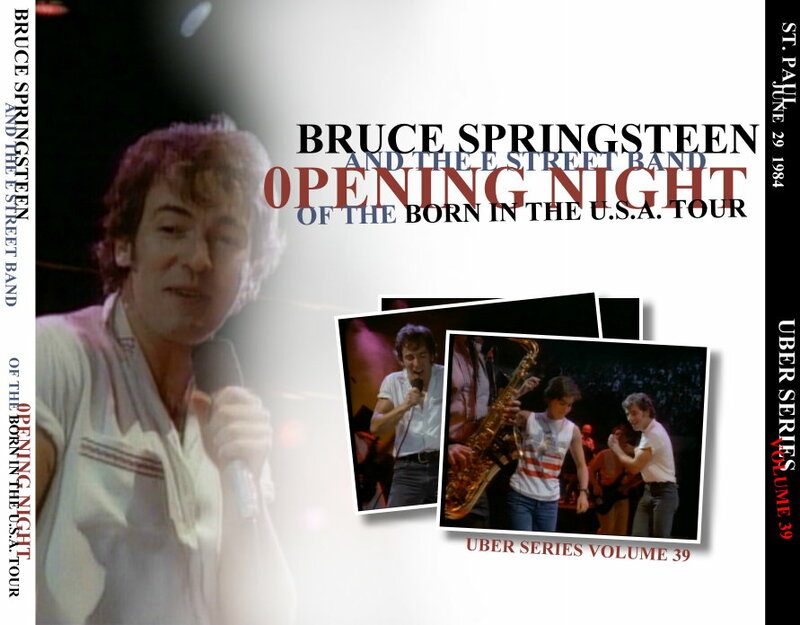 Bruce Springsteen e la E-Street Band suonarono per 3 ore e 40 minuti. 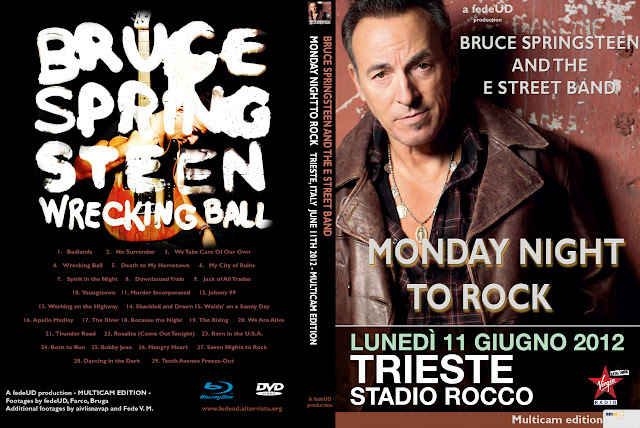 Prima esecuzione italiana di The Promise che nel tour di Wrecking Ball era già stata suonata due volte, a Washington (01.04.2012) e a Siviglia (12.05.2012). Sarà poi replicata altre tre volte nel corso dell’estate (Manchester, Dublino e Oslo). Zuma 66 original Notes: Sorry I don’t do MP3’s – My uploads are ex unless noted otherwise. 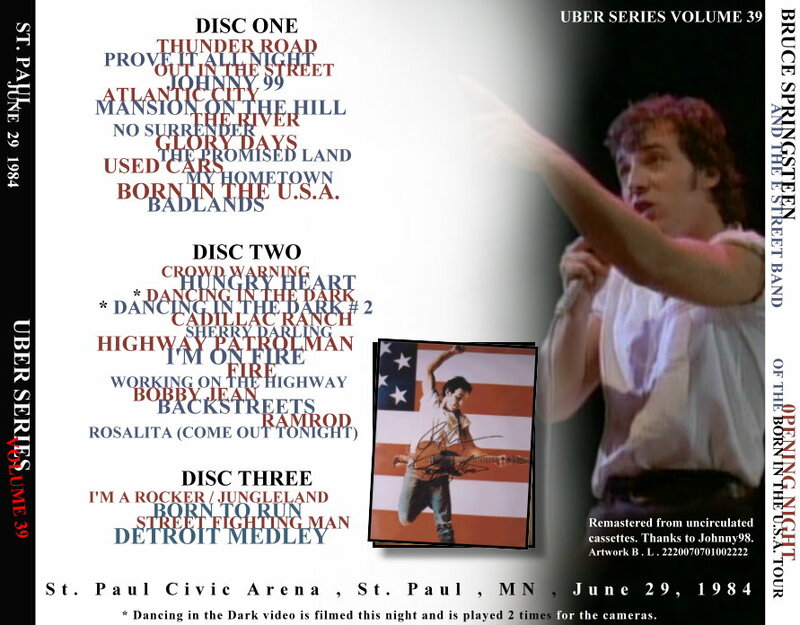 Don’t sell & please don’t convert to MP3 or other lossy formats. Please wait 2 weeks after my initial upload before uploading to other sites. If you upload it elsewhere: leave the info-file intact and I appreciate a note from you. 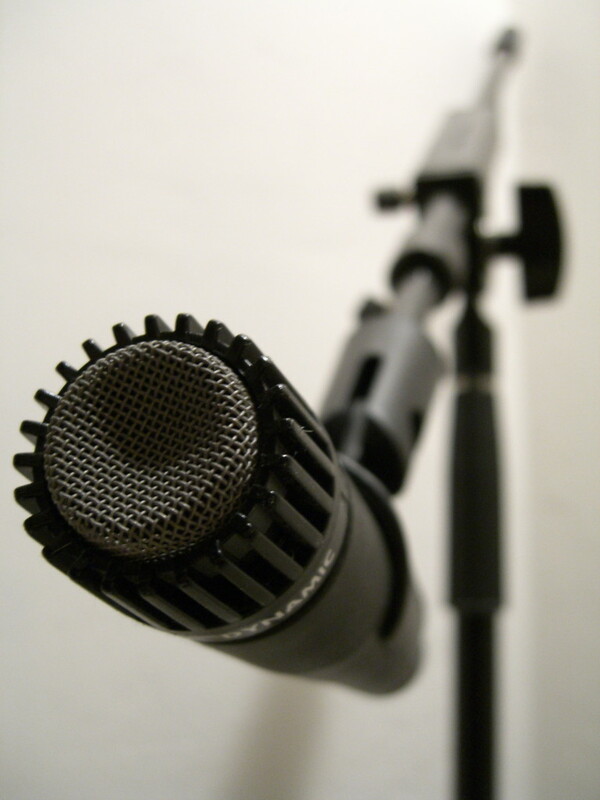 THIS RECORDING IS MADE BY A FAN FOR FANS. DO NOT CONVERT TO MP3 FORMAT. Please rate the bootleg using the stars here below, thanks! 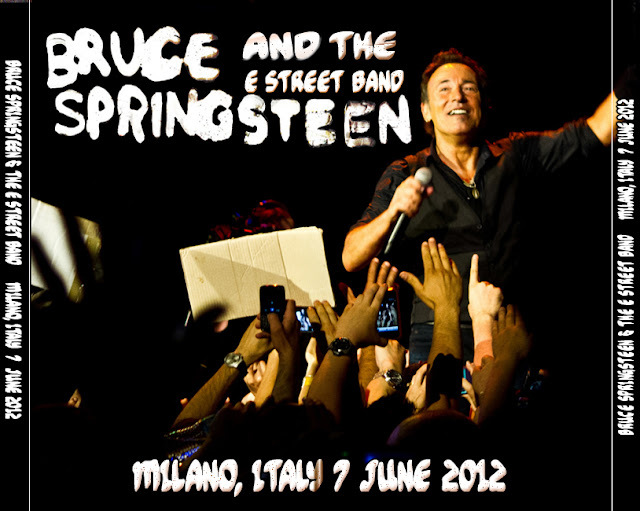 Bruce Springsteen e la E-Street Band a Trieste! 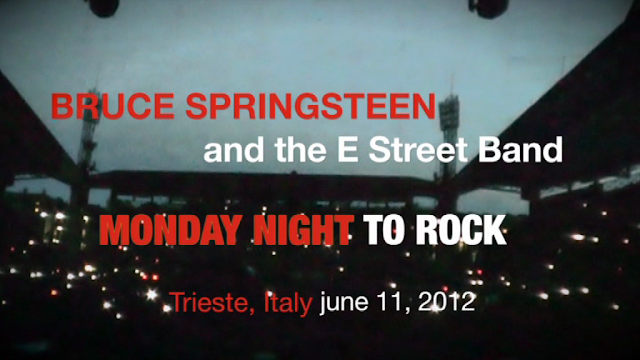 La scaletta della serata non era stata niente di particolare, anzi forse è stato il concerto meno bello di quelli visti nel 2012 con Springsteen che inizia male salutando in tutte le lingue eccetto quelle che si parlano a Trieste (trovate un approfondimento nel mio e-book). Il bootleg DVD realizzato da FedeUd è comunque un bellissimo ricordo di quella serata irripetibile.